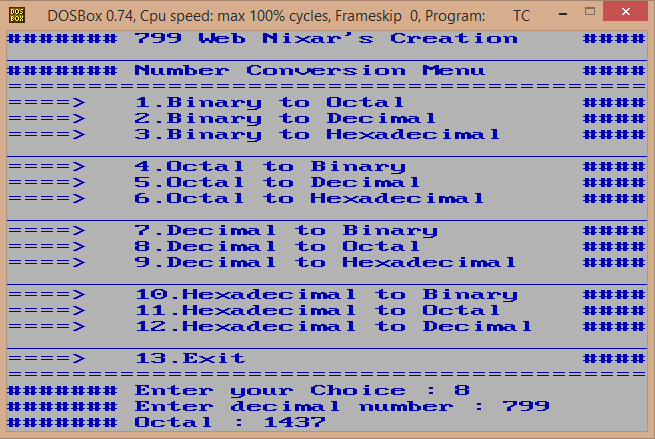 C program for all number conversion. I have created a C program for all number conversion, its a small application using C language. I have used printf’s various format specifiers to minimize the code and utilizing the available features of printf function. These are some of format specifiers used in the code. %d => for signed decimal integer. %o => unsigned octal integer. %X => unsigned hexadecimal integer. The number conversions supported by this code are listed below. // Function to validate the binary string.